Glimmer TreeFind your Glimmer Tree and share it with a friend! Birdie hugs the Glimmer Tree when she meets it for the first time. How do you honor trees in real life? You decide, share an adventure with a friend, and grow in the Wisdom of the Arbor Lineage! Ask a friend who lives nearby to come with you to find your Glimmer Tree. Go to a spot with cool trees and secretly choose a special one. Shhhhhh . . .Don’t tell your friend which one it is! Blindfold your friend, spin her three times, then lead her to your special tree. Ask her to use all of her senses except sight (and maybe taste!) to get to know the tree. Lead her back to your original spot and take off the blindfold. Can she guess which tree is your Glimmer Tree? 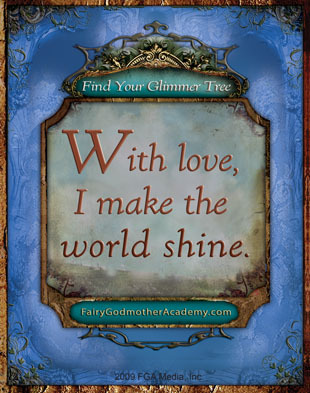 You’ve found your Glimmer Tree and made the world a brighter place! Celebrate the tree any way you’d like – with a picnic, a song, or just a hug! Dear Birdie, i ‘ve read your book its really good! dear birdie, your book is the 2nd best book i have ever read!!!!! Hey! I’m SOOOO glad you both liked the book 🙂 Have you found YOUR Glimmer Tree yet? birdie your books are awesome it’s so fun to read this book i read it every day ……..SO COOL!!!!!!!! birdie i like all of your books they are great. i like the first and second books because they are cool. Nope but it would be really cool if I could find my glimmer tree. 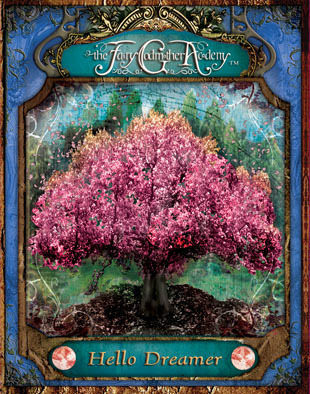 This is awesome birdie i love your book your a girl like me i wish i good find my glimmer tree! Hey Birdie I love your book so far.xo. I did this activity with my friend but I accidentally picked the tree that she was going to pick so she picked another one but anyways, it was a lot of fun. Ican not wait. I will do it with my daughter when I grow old to make a tortishion. Hey Birdie! I love your books. (I’ve only read the first but I’m pretty sure I’ll like the others too). I have not yet found my Glimmer Tree, but I will soon! I will tell this to my daughter when i have one. ( she will be named Jade) and we will go down to our Glimmer Trees everyday. I am your biggest fan Birdie!!! Cool I found my glimmer tree in my own backyard! Birdie you are awesome! love your book its so triple back flip awsome!!!!!!!!!!!!!!!!!!!!!!!!!!!!!!!!!!!!!!!!!!!!!!!!!!!!!!!!!!!!!!!!!!!!!!!!!!!!!!!!!!!!!!!!!!!!!!!!!!!!!!!!!!!!!!!!!!!!!!!!!!!!!!!!!!!!!!!!!!!!!!!!!!!!!!!!!!!!!!!!!!!!!!!!!!!!!!!!!!!!!!!!!!!!!!!!!!!!!!!!!!!!!!!!!!!!!!!!!!!!!!!!!!!!!!!!!!!!!!!!!!!!!!!!!!!!!!!!!!!!!!!!!!!!!!!!!!!!!!!!!!!!!!!!!!!!!! It is sooooooo super-cool and inspiring that all of you are finding your glimmer trees. Can’t wait to hear more now that it’s Spring and we can all go on nature walks! I’ve only read Kerka’s Book but I really want to read yours Birdie! hey birdie, i wish girls like you and kerka and zally would come into my life!!!! most people in my class are really mean to me and right now i just really need some good friends. I’m so sorry your tree was damaged in a storm! Have u thought about *planting* a new Glimmer Tree in honor of your old one? I just got your book Birdie and so far I really like it! I found my Glimmer tree and its an orange tree in my back yard that i used to climb. I defenitly found my Glimmer Tree! Its right in my backard. It’s just so big and beatiful. We may have to move soon though and I will miss it so much. hey momos, i just read ur comment, it stinks a big one when people are mean doesn’t it? i hope it gets better 4 u!!!! i found my glimmer tree but it was cut down:(:(:( but i am currently trying 2 find a new 1!!!!!! sorry mosmos i meant to say dear mosmos! I have a Glimmer Tree I call Grandmother Willow! I think I hear her speak words of wisdom to me! My Glimmer Tree is on my way to school. One day I saw a leaf suspended in mid-air and I looked more closely to see that it was attached by two fine spiderweb strands. The leaf has since fallen, but I often pause by that tree where the leaf was, and just remember that magical moment. You know, this website and Birdie’s Book totally inspires me, thank you so much. i have a glimmer tree but its in my dads backyard in a different state. my glimmer tree is a huge tree about 100 years old. You know wats weird????? I found my glimmer tree in my backyard and its real ugly cuz we tried to make a treehouse and one of the limbs broke off but u can see a lake from the view. I am just on the first book but I LOVE it. Its so fun!!! birdie’s book is the best book ever ! !